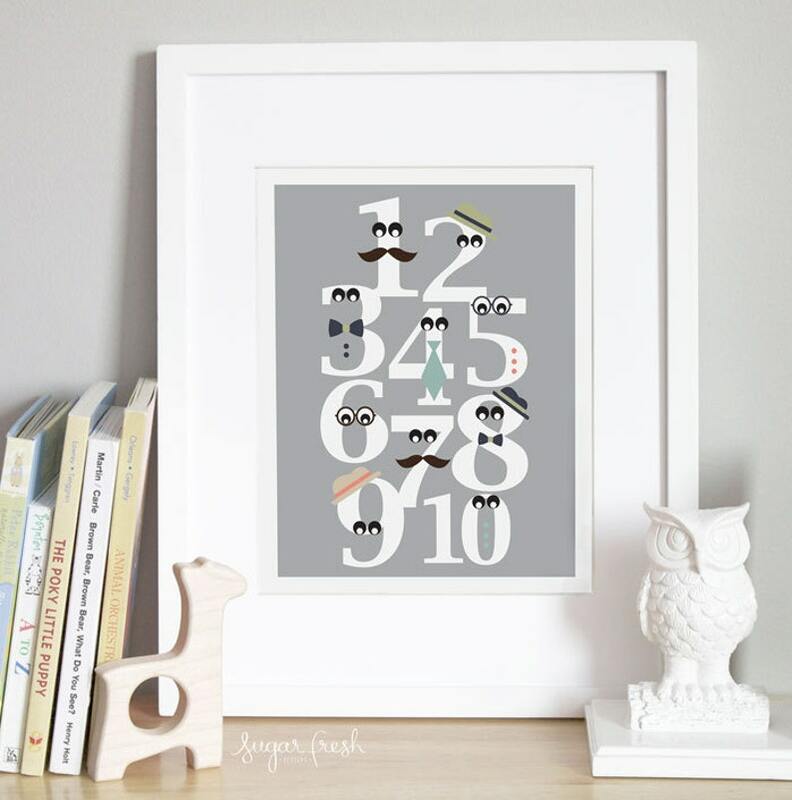 Liven up your child's room or nursery with this fun and unique numbers poster. Available in two color schemes, 'gray' or 'white'. Please select your color choice from the drop down menu above the 'Add to Cart' button. Customization of colors is available for an additional $3, please contact me. Artwork is made to fit an 8"x10" opening, however it is printed on 8.5" x 11" paper for ease of matting. If you would like it trimmed to 8x10, please make a note during checkout. (Frame is not included).